Beijing (AFP) – China has fined several of the country’s biggest technology firms for failing to remove illegal online content as the authorities intensify their policing of the internet. Three web giants operating popular social media services have received “maximum penalties” for allowing the publication of pornographic, violent and other sorts of banned material, the Cyberspace Administration of China said. 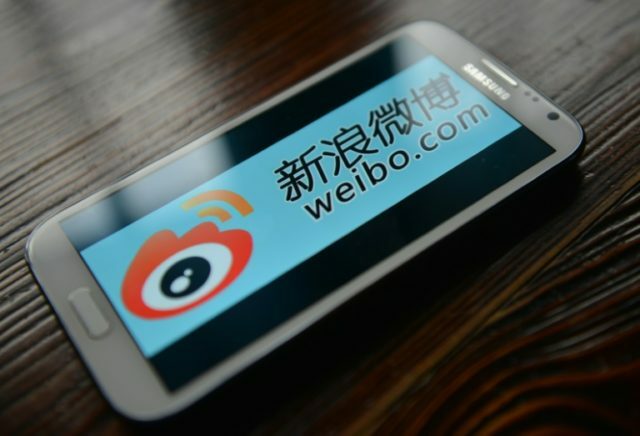 Internet users had shared the content on Baidu’s online forum Tieba, the microblogging site Weibo, and Tencent’s WeChat application, according to the watchdog. The companies also failed to block content that “promoted ethnic hatred,” it said in a statement on Monday. The amounts of the fines were not made public. The companies were also ordered to immediately remove illegal content as well as increase platform management measures. A Baidu spokeswoman told AFP the company is “actively cooperating with the government” to “purge bad information” from its Tieba forum. Regulations in force since 2000 say websites are responsible for ensuring the legality of any information posted on their platforms. China has tightened online policing this year, enacting new rules that require tech companies to store user data inside the country as well as restrictions on what is permissible content. The fines were handed down ahead of the Communist Party congress on October 18, when President Xi Jinping is expected to be given a second five-year term as the party’s general secretary. In the past few days, Chinese authorities appear to have severely disrupted Facebook’s WhatsApp messaging app. China usually steps up surveillance around major events. Foreign websites such as Facebook, Twitter, Pinterest and a slew of overseas media have been blocked for years.